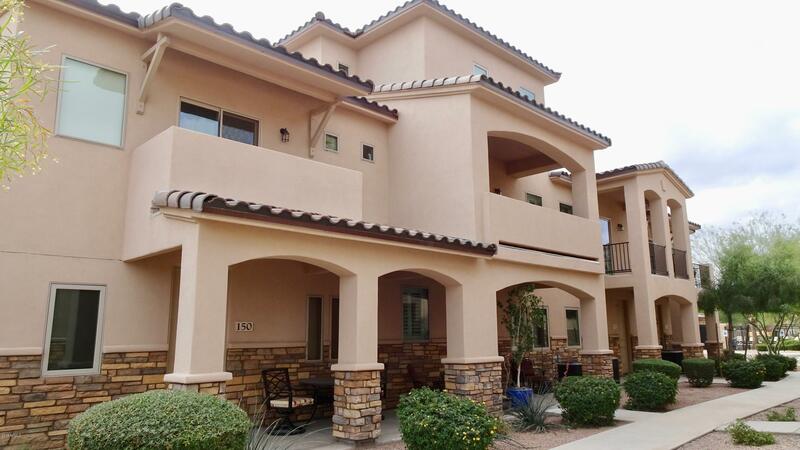 Great 3 Bedroom, 2.5 Bath Thownhome nestled near the 202 & 60 in a Premier Gated Community. Granite Counters, Backsplash, Cafe Cabinets and Pantry in Kitchen. Greatroom floorpan. Master bedroom is Spacious and all the bedrooms have walk-in closets. Home has wood plantation shutters throughout. This unit has two balconies, one is on the north side of the home and the other balcony is on the south side giving you great views! Ring doorbell. 2 Car Garage faces south. 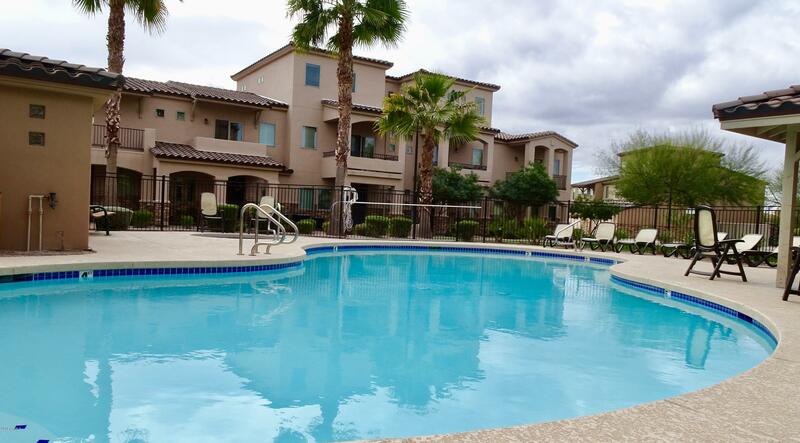 Unit is walking distance to the heated pool, not directly in front, so you don't hear people at the pool. Unit does not face Guadalupe, it's far away from the main street.Mesa address in the Gilbert School District! Schedule a showing to see more details at this Turn-key home!